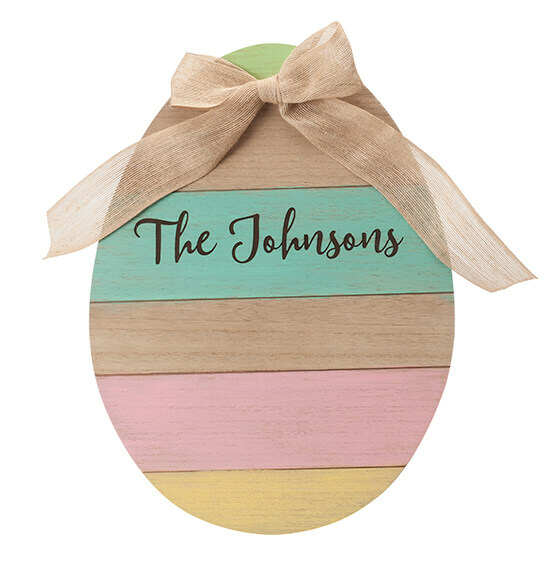 Welcome spring with a personalized Easter egg wall hanging in distressed wood with layers of pastel green, pink, blue, yellow and wood grain finishes. 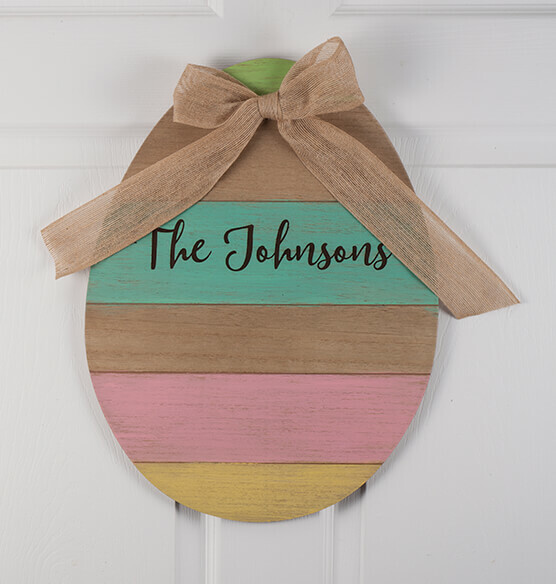 This beautifully made egg-shaped wall hanging with a burlap bow from PersonalizedThings by Exposures is ready for hanging inside or on a protected outside door for Easter. Personalize this spring decor with a laser-engraved name or your choice of holiday greeting; up to 1 line, 15 characters. 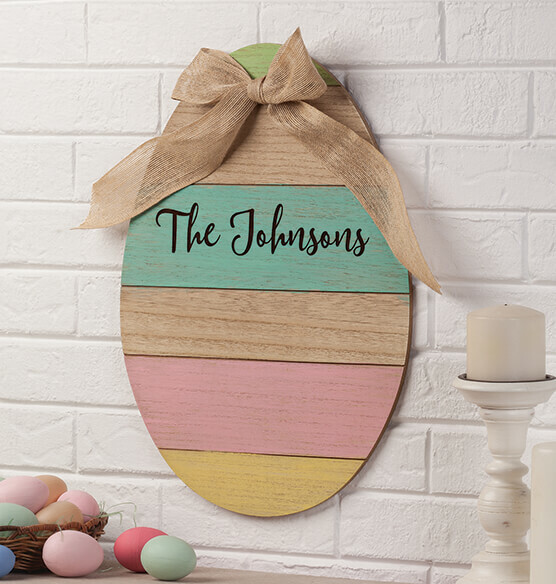 Made to enjoy for many holidays to come, this unique Easter greeting sign is ready to hang with a metal triangle hanger on back. The charming Easter sign measures 18 1/4" high by 13 3/4" wide. I bought this item personalized it is very nice. I really like it. This will decorate my front door this year, and who knows where I will put it next year. It is sturdy enough to last for many years, making the price very reasonable. It will go with any style home.